A Unique Christmas with This Material Culture! 1) Bunny Necklace – my Little Miss loves her Mr Bwns which by now is called Bwni, She’s also started to play with my necklace so I think this would be perfect as her first * second piece of jewellery. 2) Jurassic Bangle – for hubby’s best friend (and best man at our wedding). Last time I saw him he was wearing some beaded bangles and I think this could possibly go well with his collection. And weirdly enough the last film we watched together was Jurassic World so maybe that’s where the idea came from?! 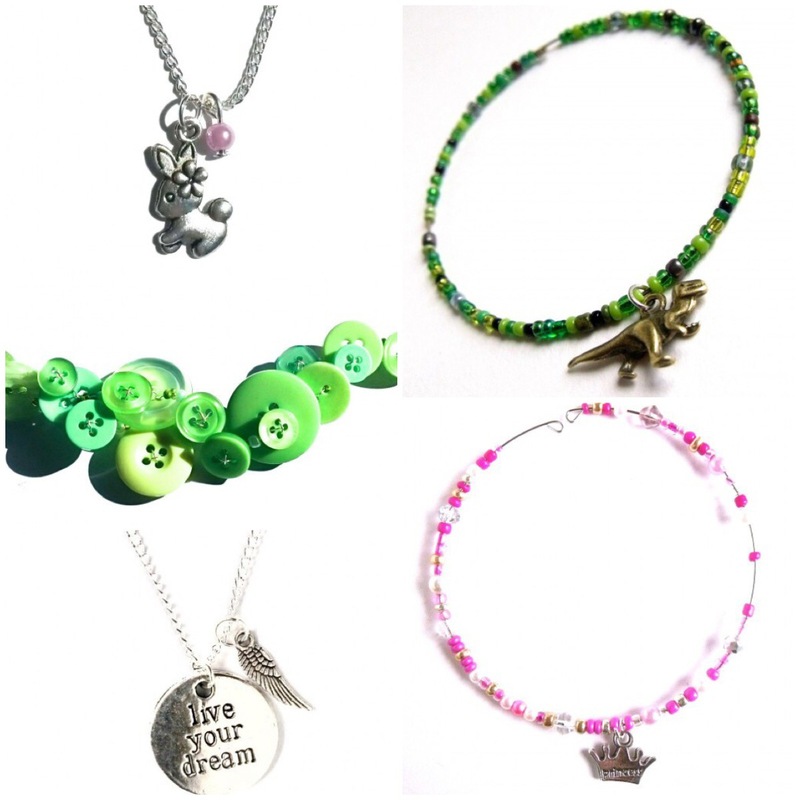 3) Green Button Necklace – for on of my best friends. I don’t know why but when I was browsing she instantly came to mind! 4) Live Your Dream Necklace – for my other best friend. Again, I don’t know why but she instantly came to mind when I saw it. Although I was also thinking that the “Live, Laugh, Love” was also a good one for her. 5) Princess Bangle – for my friend’s girl. She’s pretty girly and likes all things pink! Pretty sure she’ll love it and it’d go perfectly with her lovely pink party dress! Of course this is just a small selection of what they sell so go checkout their online store. I’m currently eyeing up the Dinosaur* Necklace for myself! * Does anyone else just hear “Grrr, dinosaur” whenever you see that word? It’s a sign you’re a parent to a toddler that’s for sure! And for those of you who don’t get the reference it’s a Peppa Pig thing! Have you had a browse and what item did you like most?